This August we’ve captured sunshine in a bottle. 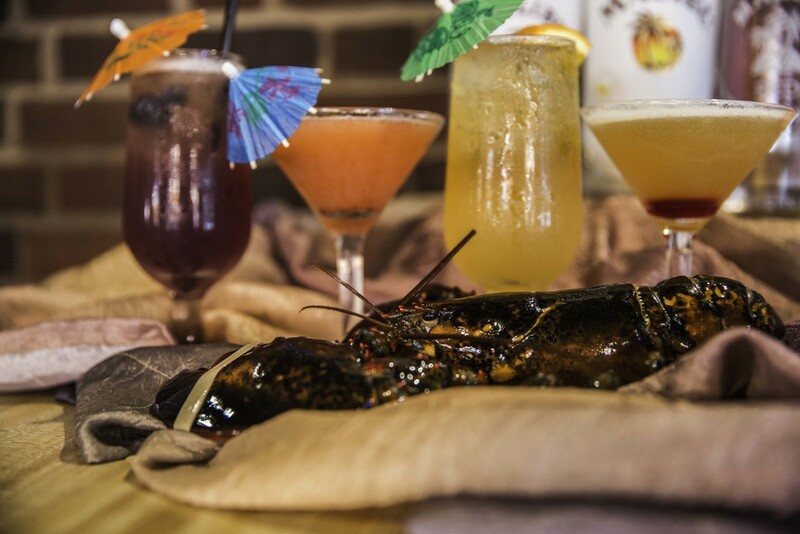 For this month we are featuring products made with Malibu rums; it’s like a vacation for your taste buds; we’ll take you around Barbados, Curaçao, the Bahamas and maybe a jaunt over to Bermuda. 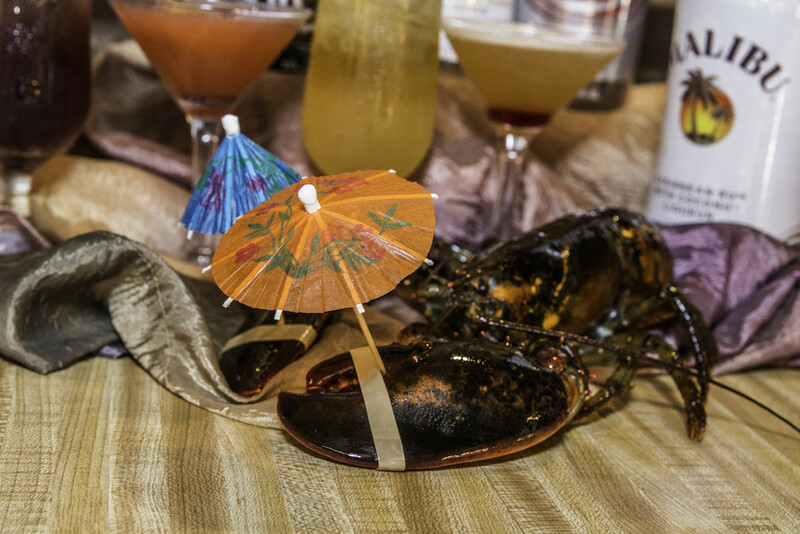 Vacation-tini: Malibu tropical banana rum, Malibu Red (a tequila & rum blend), strawberry puree, orange juice and a bit of crème de banana. You can almost hear the ocean. 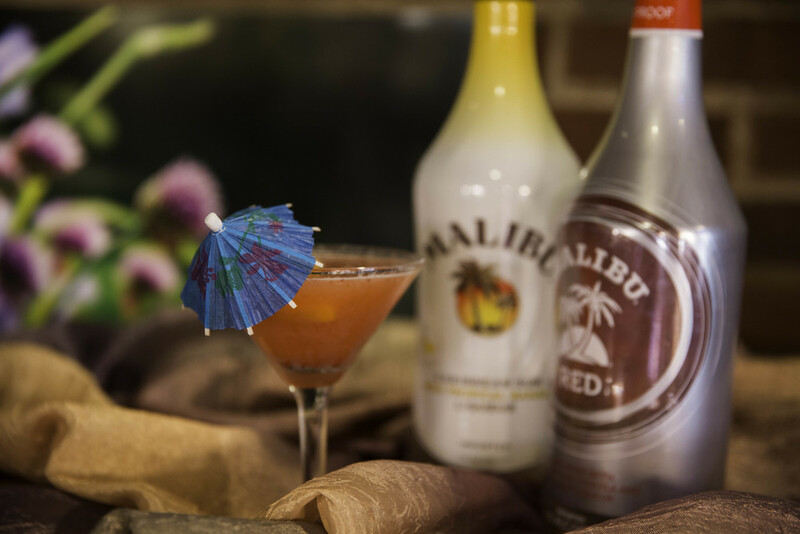 Coconut & Pineapple Upside Down Martini: Vanilla Vodka, pineapple juice, Malibu coconut rum, amaretto and a touch of grenadine with a sweet coconut garnish. 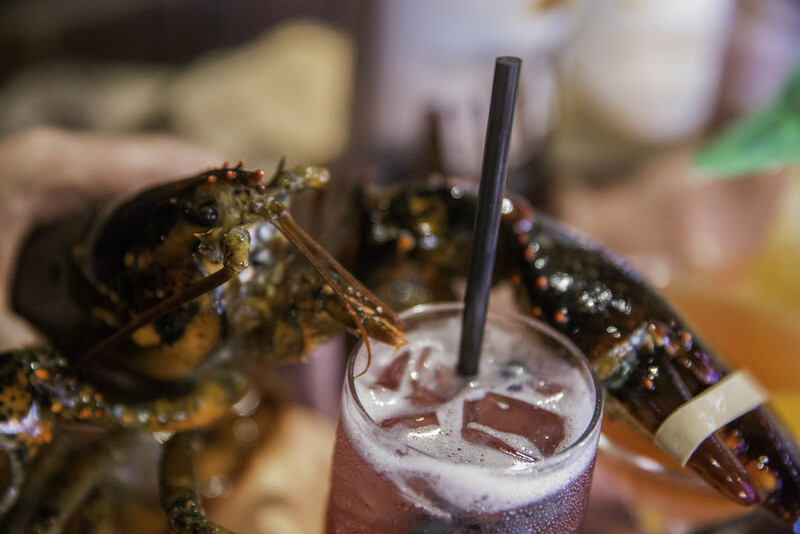 Bridgetown Blast: Malibu rum, blueberry vodka, raspberry liqueur, pineapple juice, soda and a berry garnish. Too bad we don’t know how to play the steel drums. 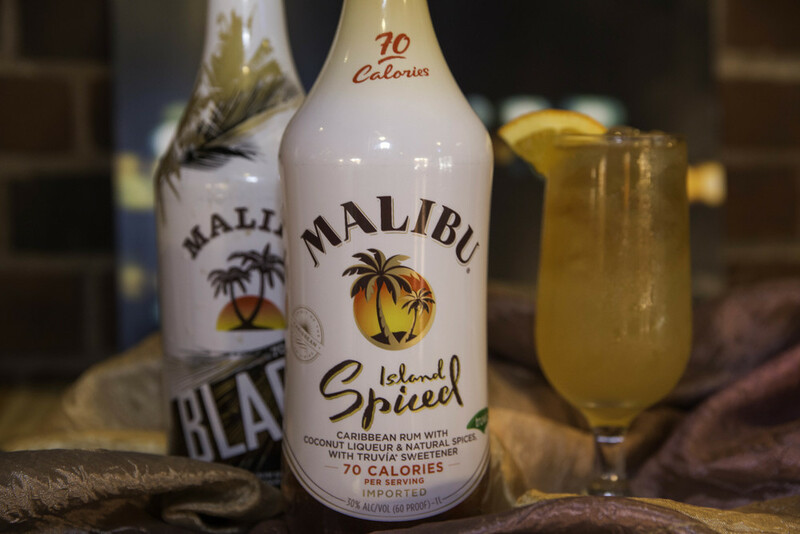 Dutch Treat: Island Spiced low-calorie Malibu rum, ginger beer, orange juice, nutritious coconut water and a float of Malibu Black. For consistent updates and the latest news follow us on Facebook!